A sunny, fresh counting poem which won the Smarties Book Prize Bronze Award. How much fruit can one little girl eat in a day? Three sweet-sop? Seven mangoes? 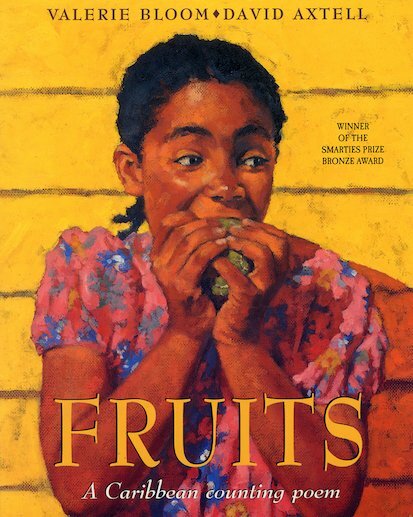 Written in swinging rhythm and rhyme with lots of Caribbean dialect, this verse introduces the names of many exotic fruits, showing them in luscious, juicy pictures.